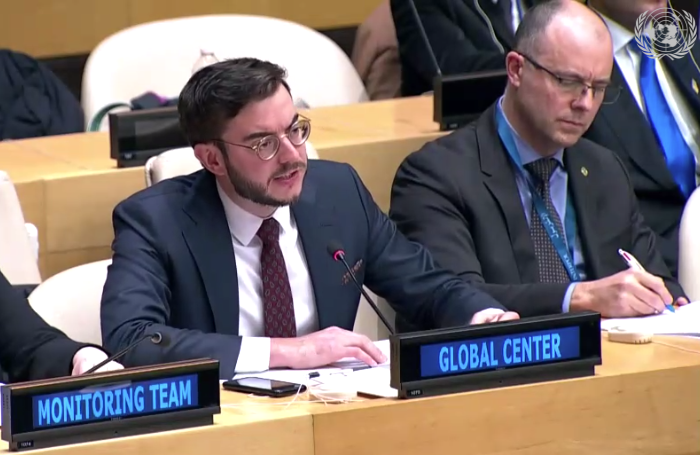 The permanent missions of Australia, France, Indonesia, Peru, and Tunisia co-hosted an Arria Formula Meeting on preventing and countering the financing of terrorism, a core focus of the Global Center. In his remarks, Executive Director Eelco Kessels focused on the importance of promoting risk-based and human rights-centric anti-money laundering and countering the financing of terrorism approaches that recognize potential negative consequences such as financial exclusion, de-risking, and economic inequality. Click here for the UN webcast.